CORONA COURT is located at 6 - 18A JALAN HAJI ALIAS in district 10 (Bukit Timah, Grange, Holland) of Singapore. 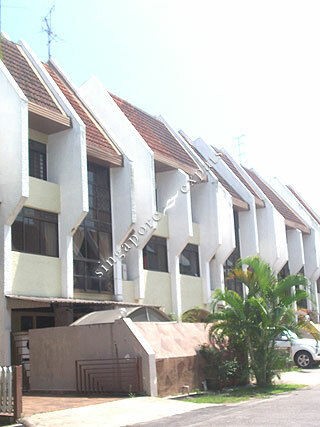 CORONA COURT is a Freehold Condo development consisting of 14 units. CORONA COURT is completed / TOP in 1984 (estimated), developed by WEE SHIN REALTY PTE LTD.
Educational institutions like HWA CHONG INTERNATIONAL SCHOOL, BLUE HOUSE INTERNATIONAL SCHOOL, THE EXPERIENTIAL LEARNING CENTRE, NANYANG PRIMARY SCHOOL, HENRY PARK PRIMARY SCHOOL and RAFFLES GIRLS' PRIMARY SCHOOL are near to CORONA COURT. CORONA COURT is accessible via nearby SIXTH AVENUE, HOLLAND VILLAGE and TAN KAH KEE MRT Stations. Nice and quiet with lotsa space. Good for family with kids as there are a few expat families with kids running about.